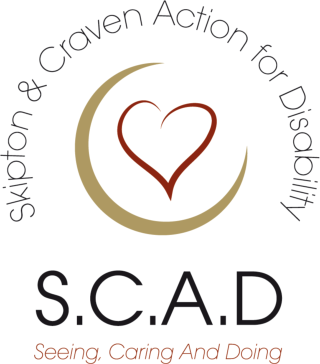 Why not SCAD about with us? If you live with mobility problems that make getting out and about challenging, we’re here to help. Our shops in Settle, Skipton, Crosshills and Keighley go a very long way to fund our services. With stock which turns over very quickly, why not make us your first port of call when you need something, or when you are looking for a worthy cause to donate your unwanted items to for sale. If you are looking for a specific something – why not have a chat to one of the shop managers – if we don’t have it now, it may be donated tomorrow and we can call you. We are always recruiting for helpers to run our shops, drive our buses, assist service users on day trips, crew the Endeavour boat, run fundraising activities and join our trustee team with fresh ideas and enthusiasm. Full training is given to all volunteers. If you can give a little of your time please contact us to see what we can do for you! Our volunteer pages give more information about the roles available and details of how to contact us. As well as donating items for sale in our shops, why not consider offering financial support to help fund this valuable service in our community. Donate now via our LocalGiving site. If you wish to speak to one of the shops, please telephone the main office.